This was my first local outing after returning from the San Francisco area. I saw in the BC rare bird alert that there had been an American Avocet seen at Elgin Park which is located in Surrey on Crescent Beach Road. 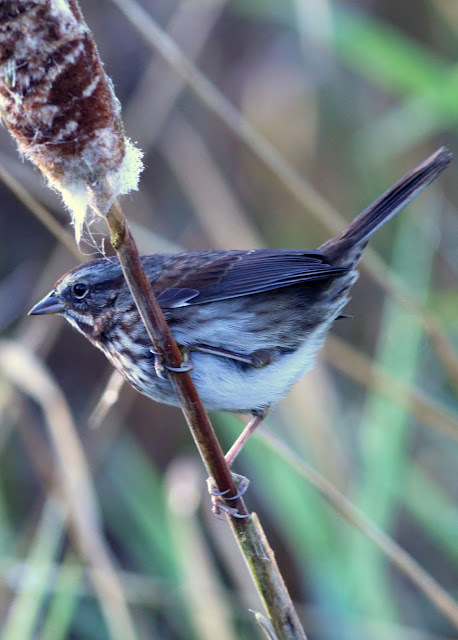 It's a nice area with some boardwalks along the Nikomekl River, but all I saw on this Sunday morning was a Song Sparrow. I continued west to Blackie's Spit, hoping to see a Eurasian Wigeon, a bird I wanted for my 2017 list. I met up with some birders from the Delta Naturalists and looked for birds together. 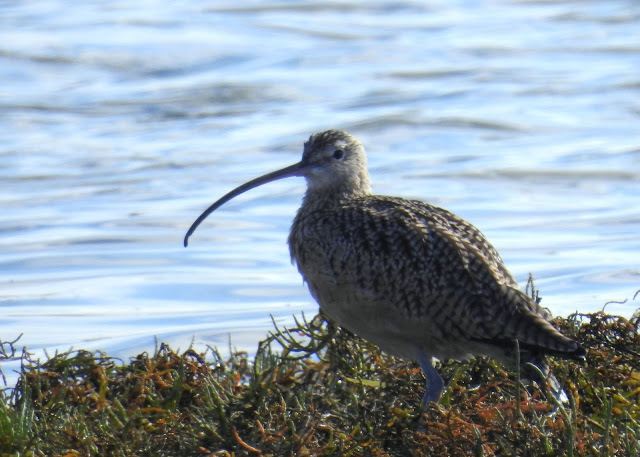 They were looking for a Long-billed Curlew, a frequent winter resident on the spit. 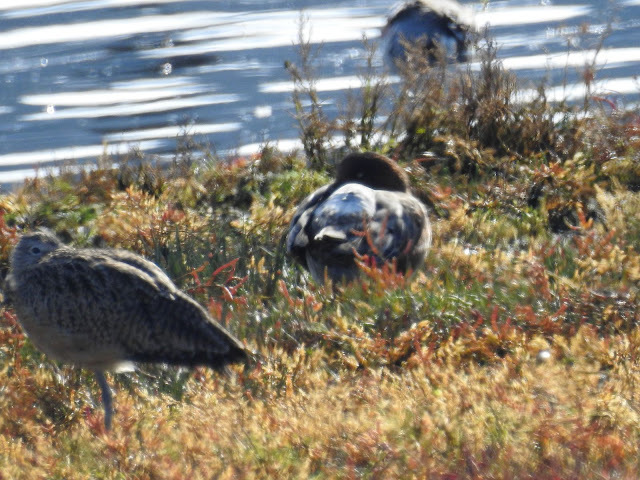 I had my spotting scope and was able to locate the Curlew in with a bunch of ducks. One of those ducks happened to be a Eurasian Wigeon. This was the best I could manage for the Wigeon, it's the bird with the reddish head in the background. The Curlew is in the foreground. As we were watching a Bald Eagle flew overhead and caused all the birds on the shore to scatter. 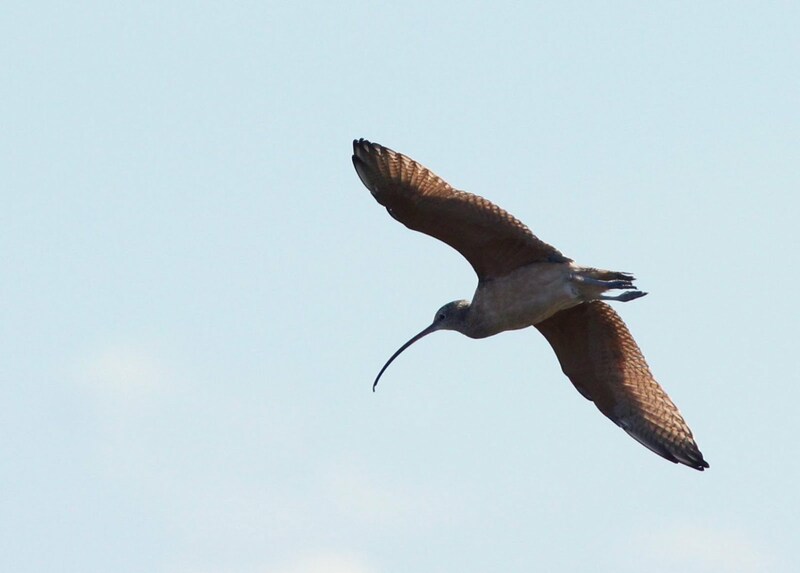 I captured a shot of the Curlew as it flew overhead. It was visible and alert for a short while allowing me to get this zoomed closeup. Eventually it resumed sleeping, while remaining alert for any disturbance. 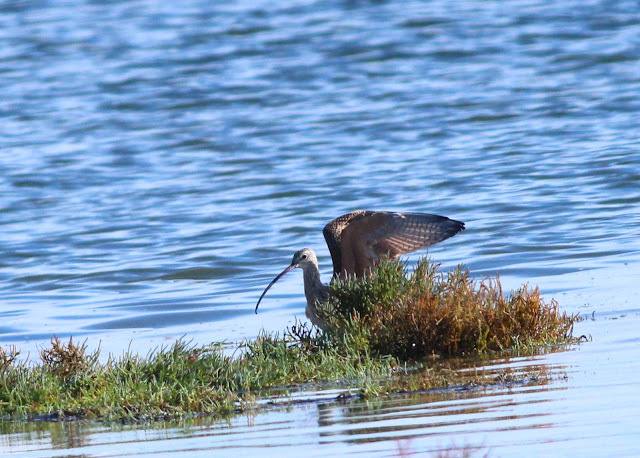 This was not the most prolific outing, but I love the shot of the Curlew in flight.